Science of Coffee has moved! Science of Coffee has moved to Colorado. In the next advancement of this brand, I have taken a job on Anschutz Medical Campus for the University of Colorado. Here I will be working in the Hansen Mass Spec Core Lab with the Proteomics group. One of the projects I’ll be working on is a Beverage-Omics study, investigating metabolite profiles of different wines, beers, and teas. I’ll be branching out into coffee, studying samples of the same coffee I sell on my store! With this move, I am launching Science of Coffee Subscription Services. Now available is a Monthly or Weekly coffee delivery service. Choose between receiving the same blend every time or let me pick a new one for you every time. With this option, I will include a handwritten note containing some info on the coffee you have been sent including some tasting notes and farming conditions. Additionally, if you sign up for the Coffee of the Week service I’ll include a free Science of Coffee Mug with your first order! 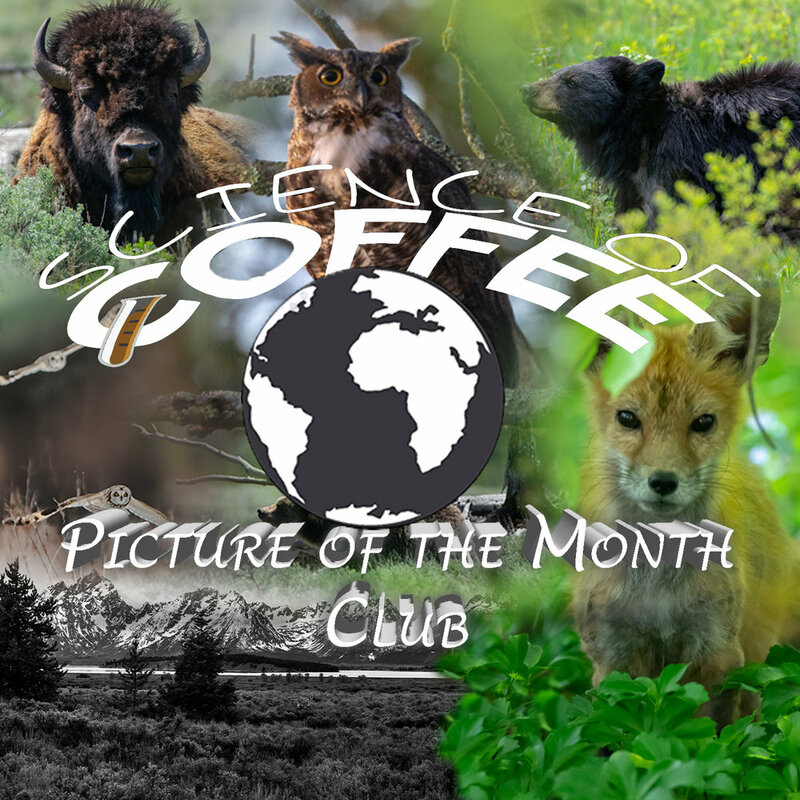 And last but not least, the one I am the most excited to launch, the Science of Coffee Photo of the Month Club! For just $9 a month, I will send you a new 13x19 in. print (or any size of your choosing) to hang on your wall. Each new photo will keep you involved in the latest of Science of Coffee Photography, whether it be Wildlife, Landscape, or Adventure activities. Further, I will give you an inside glimpse into my work as it happens. I’ll add you to my personal Google Photos folder that I update with my keepers the same day I shoot them. Finally, upon joining this club I will include a FREE wildlife photography book! That’s a $40 value item free to get you caught up with what I’ve been up to.